You could say the Power Shift began when Ricky Martin was “Livin’ La Vida Loca” at the Grammy Awards in 1999, but it goes back further than that. Maybe it was the impact of Robert Rodriguez’s film El Mariachi, made for $7,000 in 1992 and earning $2 million at the box office; or Jennifer Lopez being the first Latina to earn a million dollar pay check for her lead role in Gregory Nava’s Selena in 1997. But wait, it goes back even further. Nava’s seminal film El Norte, released in 1984 and nominated for an Oscar for Best Screenplay, introduced the concept of an all Latino, multilingual cast in the U.S. From that moment on, the Hollywood Power Shift was underway. To understand why it was needed, one must delve back into Hollywood lore. In the 1920’s, Ramon Novarro and Dolores del Rio were among Hollywood‘s legends. With the advent of the “talkies,” even more stars lit up the sky. There was Rita Hayworth, Lupe Velez, Anthony Quinn, Jose Ferrer, and Ricardo Montalban, among others, who starred in major films. But by the 50’s, Hollywood was no longer casting Latinos in lead roles and it would essentially remain that way for over five decades. The seeds planted back then grew into what is now known as Latino Hollywood. Today, Hollywood can no longer dismiss Latinos because they are the number one film-going audience in the critical 18–34 year-old demographic, known by salivating marketers as Millennials. About one third of the total, these young Latinos command a buying power of $1.3 trillion a year. Last year, Eugenio Derbez’s sleeper hit comedy Instructions Not Included solidified Latino consumer clout. Opening in only 347 theaters in the U.S., the film’s first weekend take was $7.8 million. It was made on a shoestring budget (by today’s standards) of only $5 million and has to date made $90 million worldwide, making it the highest-grossing Latino film ever in the U.S., topping Guillermo del Toro’s Pan’s Labyrinth and the adaptation of Laura Esquivel’s popular novel Like Water for Chocolate. But in Hollywood, buying power still does not equal more brown faces on the screen. Who decides which movies are produced and released? Who gets to determine who gets to work in these movies and approve the screenplays that get produced? That is where the power truly lies. In a study he conducted and presented at a Mensa society meeting, Cones concludes that the power in Hollywood lies with “the three top executives at the so-called major studio/distributors (i.e. Disney, Universal, Sony, Warner Bros., and 20th Century Fox).” On television it’s the entertainment presidents at each of the networks that wield that power. If we go on Cones’ premise, then Latinos don’t have much power at all. There are no Latino executives in the top three positions at any of the studios. On TV there is only one Latina, Nina Tassler, of Puerto Rican descent, who has had the power to greenlight TV shows in her position as President of CBS Entertainment for the past ten years. She was recently promoted to Chairman, retaining her greenlighting power until 2017. While there are no other Latino network heads on broadcast TV, there is a new kid on the block in cable. 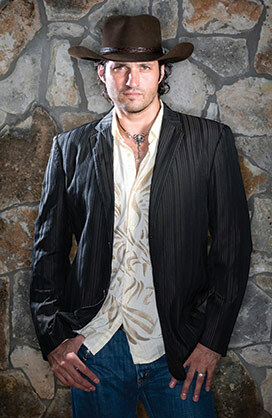 Indie desperado Robert Rodriguez himself is the founder of the new El Rey Network, an English language channel targeting Latino audiences. Last year he greenlit the network’s first scripted series, From Dusk Til Dawn, a remake of his film by the same name which premiered in March. He is working with TV and film producers Roberto Orci and Alex Kurtzman on a TV show called Matador about a soccer star who moonlights as a spy, and also on a lucha libre extravaganza with reality show mogul Mark Burnett. Next in the Hollywood power structure are executive producers. TV producers, often known as “showrunners,” may not have the ability to greenlight projects, but they have a lot of influence when it comes to the cast, hiring crew and the ability to write or approve the scripts for their TV shows. Back in the 1950’s, Desi Arnaz was the sole Latino showrunner in Hollywood, producing I Love Lucy. 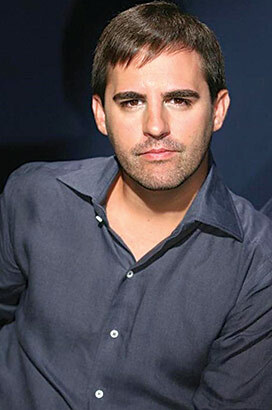 Fast forward to the present and the list of top TV producers has grown ten-fold on: Roberto Orci (Hawaii 5-0, Sleepy Hollow, Fringe, Alias); Norberto Barba (Grimm); Silvio Horta (Ugly Betty); Peter Murrieta (Wizards of Waverly Place); Eva Longoria (Devious Maids); and Sergio Aguero (Red Band Society), among others. Also topping the list as one of Hollywood’s top film producers is Orci with credits such as Star Trek, Transformers, Mission Impossible and his soon to be released The Amazing Spiderman 2. George Parra, with two Oscar nominated films (Nebraska and American Hustle); David Valdes (Transcendence, The Book of Eli, Unforgiven); and Alex Garcia (Godzilla; 300: Rise of an Empire) are among other high profile producers. 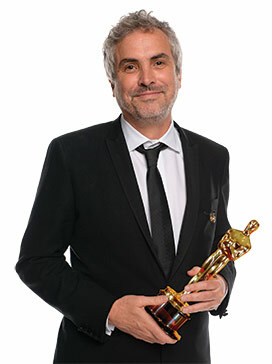 The list of A-list directors is extensive but no one gets close to Mexican-born Alfonso Cuaron. This year he won the Golden Globe, BAFTA, and Academy Award for directing his mega-hit Gravity, which pulled in a slew of other Oscars. ¡Bravo! In terms of star power, just twenty years ago you might have been hard pressed to name a major Latino actor, but now there are at least a dozen whose faces will persuade audiences to buy a movie ticket. A few of them made the 2013 Forbes 100 Celebrity List, based on earnings and ranking in the press, marketability, and social media. Topping the Latino list for two years in a row is Jennifer Lopez. She climbed to the No. 1 spot in 2012, with an estimated income of $52 million, besting media mogul Oprah Winfrey and pop singers Justin Bieber, Lady Gaga and Rihanna. Although in 2013 Lopez is down to No. 12, she still reportedly earns $45 million between her music, acting and endorsement deals. Modern Family actress Sofia Vergara, although still the highest-paid actress on TV, came in on the Forbes list at No. 54 with total earnings of $30 million. Brazilian supermodel Gisele Bundchen with her modeling contracts and NFL quarterback husband earned $42 million and is No. 81 on the list. Actor/comedian George Lopez is No. 93 with earnings of $12 million. Louie CK, another comedian who has his own self-titled comedy show on FX (Louie) came in at 97th , earning $16 million. There are also recognizable superstars that did not make the list but are nonetheless known the world over, such as Cameron Diaz, Rosario Dawson, Penelope Cruz, Javier Bardem, Benicio del Toro, Salma Hayek, Zoe Saldaña, and John Leguizamo, to name just a few. What will star power get you in Hollywood? If you are a proven talent, it will get your TV project greenlit by the network presidents, as was the case with Sofia Vergara whose Killer Women was given a pilot and ordered to series (although it has since been cancelled). Eva Longoria launched her show Devious Maids, which she produces with her ex-Desperate Housewives boss Marc Cherry, and she also has a new superhero pilot she is working on for the CW. With more and more actors seeking creative control, 2013 will be remembered as the year for the Latino development deal in Hollywood. More Latinos signed development deals than in any other time in history. These deals will permit the talent to develop, secure writers and star in their own film or television projects. Louie CK and George Lopez signed development deals with FX; Mario Lopez signed with Nuvo TV; George Lopez, Zoe Saldaña and Wilmer Valderrama signed deals with Lionsgate Televisa. The power of Latino Hollywood was in full display at the recent National Hispanic Media Coalition (NHMC) Impact Awards Gala at the Beverly Wilshire Hotel. NHMC is the leading advocacy group that addresses the concerns of Latinos in entertainment. Among the attendees and honorees were Oscar nominees Demian Bichir (A Better Life, the Bridge), Gregory Nava (El Norte) and this year’s most accomplished producer George Parra, whose two films, Nebraska and American Hustle, have garnered a combined seventeen Oscar nominations. The evening was hosted by rising young stars Gina Rodriguez (Filly Brown) and former Miss Universe Dayanara Torres. Honored that night along with Bichir and Parra were Emily Rios, also from The Bridge; actor/director Diego Luna (Cesar Chavez); and Edward James Olmos. David L. Cohen, Executive VP of Comcast, accepted the award for Outstanding Diversity Practices. Without a doubt, the NHMC brought together an impressive group of Hollywood power players all under one roof. Bel Hernandez Castillo is the CEO of Latin Heat Media, an integrated media and entertainment company whose main focus is creating multi-platform media content including online editorial, film & TV production, and media events focused on the U.S. Latino market. She is executive producer & host of the TV show HOLA! LA airing on CBS2/KCAL9.